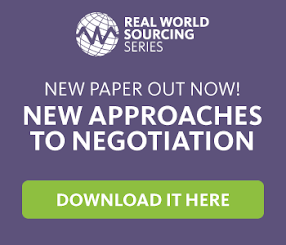 Strategic Sourcing: "You Mean Buying?" ...One of our blog posts last week (So, what do you do?) made me smile, as I recognised many of the responses to “I’m in Procurement”. However, more importantly it reminded me of the need for us to have an ‘Elevator speech’ which, as you know should be the ability to summarise what we do in a short time. Whilst there may be many that are not enthused with their job or have an easy answer to give (“I’m a tax-inspector typically stops inquisitive chatter) and could do this from ground floor to basement, I’d probably need to be in the Shard or Burj Khalifa in order to give a succinct overview... and yes, this could be somewhat linked to my ability to talk underwater, however it also goes someway to spell out that “No, I don’t mean Buying” (Cue rousing speech music getting slightly louder with each line); I actually mean full delivery of complex sourcing projects, I mean identifying our spend through deep dive analysis, I mean compliance, I mean understanding and clarifying my stakeholders specifications, I mean using questions to ensure I get a full response that I will evaluate professionally with appropriate scoring, I mean analysing both quality and price, I mean ensuring that the best damn value is achieved by auction, I mean contract award, management and KPI understanding by both parties, I mean vendor performance and continual improvement throughout that contract, and then doing all again, and if at all possible - slightly better the next time around.